Hoping to get this on Netgalley.. I can't wait to read Doms' story! 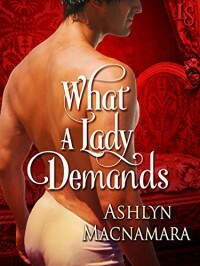 What a Lady Demands is the second book in the Eton Boys trilogy. Old friends Sandford, Lindenhurst and Battencliff have had a severe rift in their friendships. This story centers on Lindenhurst and Sandford’s younger sister, Cecilia. In What a Lady Demands we find two considerably damaged characters. The way they have dealt with their disastrous pasts are on two completely different ends of the spectrum. 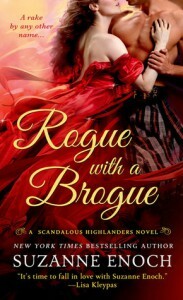 Ashyln Macnamara has presented quite a few uncommon twists that I haven’t seen in a Historical Romance. 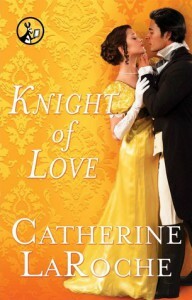 At first Cecilia Sandford seems like a spoiled ‘on the shelf’ debutante when she applies to Viscount Lindenhurst for the governess positon for his son, Jeremy. We gradually learn that she has had a dreadful past. One in which I’d never have thought she’d have survived as well as did. She is a very resilient, independent, courageous woman. She has tried to overcome her past and not dwell on the bad. Richard Blakewell, Viscount Lindenhurst, is an angry, revengeful, uncompassionate, and strict military man. He requires his servants to have very high morals. I can honestly say I couldn’t stand him and he was very hard to warm up to. Even after we learn how and why his wife betrayed him, I did not see him as a victim. I felt more sorrowful for poor Battencliff than I did for Lind. Jeremy, is a tragically sad little boy. He’s lost his mother and then lost multiple governesses’ because his father has sent them packing due to a lack of progress on teaching him to read and write. (he’s only FIVE!) Cecilia becomes his best advocate and stands toe to toe with Richard several times to Jeremy’s benefit. The fireworks between Lind and Cecilia start almost from the first. They both try to resist as they’ve both been burned in past relationships. 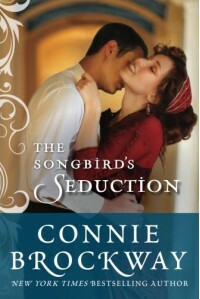 Sensual and steamy, when they connect their passion leaps off the page. When Lin finally gives in to the attraction for Cecelia, we see an emotional thawing alter his character. “You haven’t had a champion for years. Your father died when you were still in the schoolroom and your brother was gone. Who is going to protect you from … if I do not?” My heart melted for Lind right then! I loved how Cecilia stood up to Richard and didn’t back down on anything she felt so strongly about. 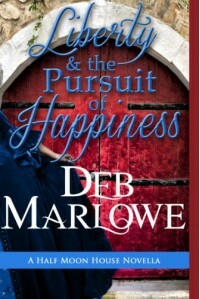 The title, What a Lady Demands, certainly fits this novel. When Lind suggests marriage she replies with “When I’m not even suitable to act as your governess, because I’m so scandalous and impure, but you’re still willing to marry me?” I cheered her on! It really shows how much he really cares for her despite his attempt otherwise. Ashlyn Macnamara has given us a message through this story of revenge, redemption and recovery. Love only flourishes when you can compromise. Revenge is never the answer. It will only come back on you. I truly enjoyed this novel. I love Small Town Romances! Can't wait to see how this town gets rebuilt. Review to come...When I wake up tomorrow...or later today. This story hit all my emotional buttons and kept me up late (or early) to finish it. Bullies, PTSD, clingy ex-wives, loving but annoying sisters, and a slow ride to true love. 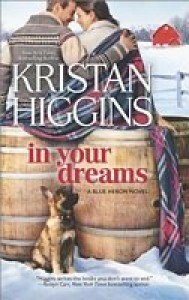 The 4th installment in Kristan Higgins, Blue Heron series, In Your Dreams, is emotionally riveting, slapstick funny, and at times very heartbreaking. This Scottish rendition of the Cinderella fairy tell is witty, sweet, and clumsily romantic. 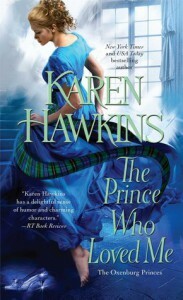 Karen Hawkins excels at twisting fairytales! This was such an enjoyable read! Bronwyn is a bookish, on the shelf, girl who even goes so far as to say “I’d rather own a subscription library than be a princess.” Who can argue with that?! The way she attempts to falsely woo Alexsey is hilarious. Prince Alexsey Vitaly Grigori Romanovin, is a mischievous devil! They both enjoy books and dogs. When he reads to her out of her romantic novel…swoon worthy! The meddlesome grandmother returns to us from her previous series, The Duchess Diaries, and here she seems quite mean, but I believe it turns out sweet in the end. Not your average Scottish rival clan romance. I was hooked from the beginning. 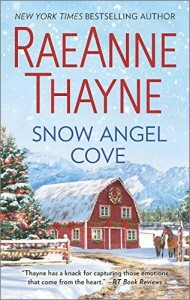 What a wonderfully sweet read and such a strong heroine! It's nice to see a sweet lovable hero in a Scottish novel. Who would think a novella about a romance between a brilliant, young Black, mathematician Rose Sweetly and an outgoing,White, Irish Catoholic, Stephen Shaughnessy would appeal to me! 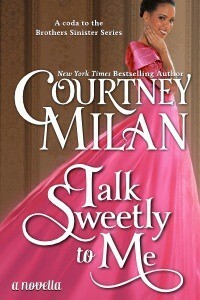 This novel was short and sweet but never say Courtney Milan can't bring in controversy and still nail the romance! ARC was provided by Netgalley for an honest review. This was not one of my favorites. It had humor, romance and mystery. It felt like there was almost TOO much going on and I couldn't keep track. The Jail scene was off the chain in a bad way. I understand the author was trying to be funny but it bordered on the ridiculous. Nicks and Phem's secondary romance felt like it was just thrown in there. I guess maybe I needed to read the first 3 books in the series but because I hadn't a lot of the scenes were over the top confusing. When You Are Mine left me literally shaking with anticipation! 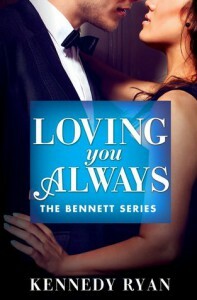 Loving You Always picks up right where we left off in book one. With all the angst and turmoil of the first book, I expected the same in the second. Kennedy Ryan delivers in spades! She takes you through the journey of tragedy, discovery, following your dreams and second chances. This series is not an easy read by far! Have your Kleenex's ready! 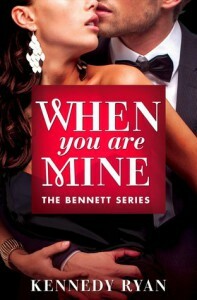 I am now HIGHLY anticipating Cam and Jo's story in Be Mine Forever! Once again we are back in Pine River with Libby's story. Libby's live-in boyfriend dumps her and refuses to let her see his kids, who she loves with all her heart. She goes into a rage and takes a golf club to his truck and gets sent to a mental health spa. When she returns she tries to move on but it's a really difficult situation. Sam Winters is a recovering alcoholic who understands some of what Libby is going through. He is also the sheriffs deputy who saw her at her worst and keeps saving her. 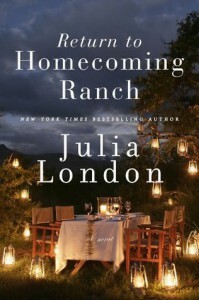 Julia London delivers a meaty story here folks! The characters have depth and growth and keep you coming back for more! This is not your average boy meets girl story here!